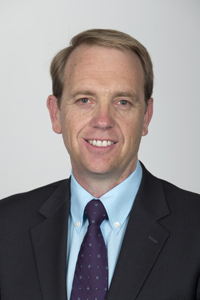 Simon Corbell, Deputy Chief Minister, Attorney-General and Minister for Health, the Environment and Capital Metro, will address the North Canberra Community Council meeting from 8.15pm to 9.15 pm on Tuesday May 19 at the Majura Function Room Majura Community Centre, 2 Rosevear Place Dickson. He will discuss Canberra’s progress toward sustainability, including renewable energy policies, energy efficiency policies and the Capital Metro project. How does the Government plan to meet its 2012 election commitment of a 10.5% public transport journey-to-work mode share by 2016? How does the government plan to maintain the current level of public transport provision after the light rail? If the Government does not build light rail, how will it address traffic congestion between Gungahlin and Civic? What are the true costs of car travel in the ACT? What steps have you taken to check the accuracy of Capital Metro’s estimated benefit cost ratio of 1.2? How much of the $222 million in travel time savings is due to travel time savings to public transport? What are Capital Metro’s base case estimates of current daily bus patronage, and bus patronage in 2021 and 2031?